Lost Deposits. Reimbursement of your deposit if a vendor goes out of business, declares bankruptcy before your wedding, or simply fails to show up. Understand the difference between wedding liability insurance and wedding cancellation insurance. They are both referred to simply as wedding insurance, however they provide very different types of protection for you, your venue, and your wedding. Be certain that when comparing different wedding insurance plans, you have the option to buy Liability or Cancellation coverage individually, or both together, depending on your needs. 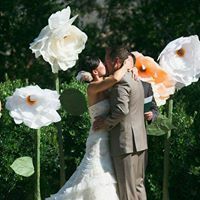 Selecting the most appropriate wedding insurance depends on a number of factors, including where you are having the reception, your wedding budget, and your tolerance for risk. Evaluate those factors when selecting a wedding insurance program to protect you. « Never let Mother Nature dampen your style!